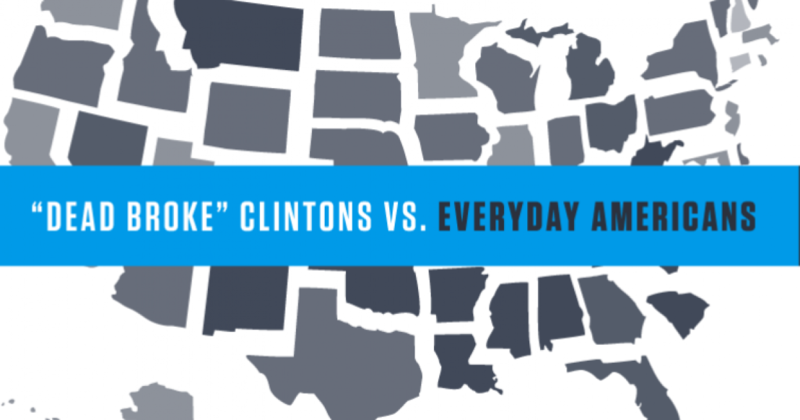 She claimed she was “dead broke” but here is how the Clintons’ $30 million income stacks up against everyday Americans in each state. Check out the chart below to see how many households in each state it would take to equal the “Dead Broke” Clintons. Click on your state to download and share a graphic comparison.